Hi folks! 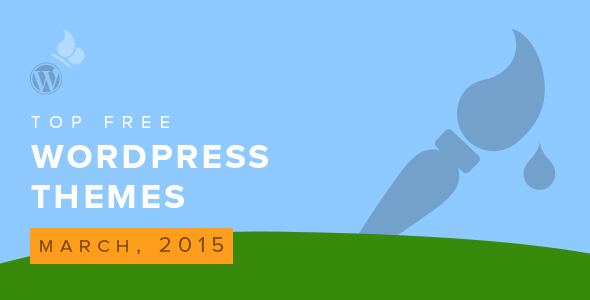 March is almost ended and as usual we sum up the best free WordPress themes of the month. We’re pleasantly surprised by their high quality. 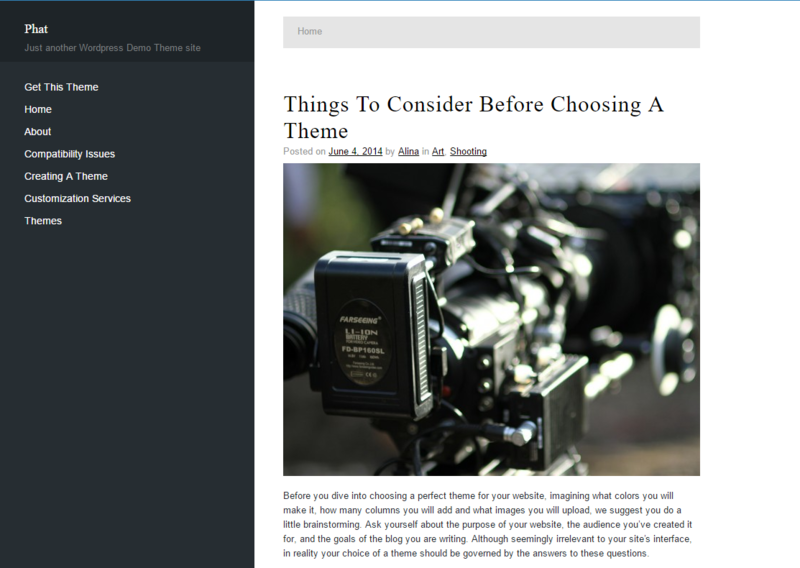 So here is a list of the top 5 free themes that we hope you will enjoy. This March 2015 edition themes are suitable for a variety of different websites such as magazines, personal blogs, portfolios and business. We hope you will enjoy them all! We really do! 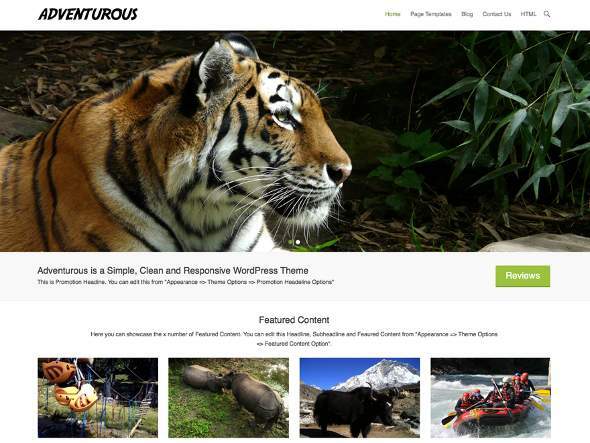 Adventurous is a multi-purpose theme that is suitable for bloggers, businesses and Photographers. Adventurous is a responsive, minimal, lightweight, simple, clean, full-width and box-shaped WordPress theme. It is highly flexible and customizable thanks to easy- to-use Theme Options panel. Adventurous is based on CSS3 and HTML5 and it will surely make your website look professional and beautiful. This theme comes with a wide variety of languages including Hungarian, Brazilian and Portuguese. 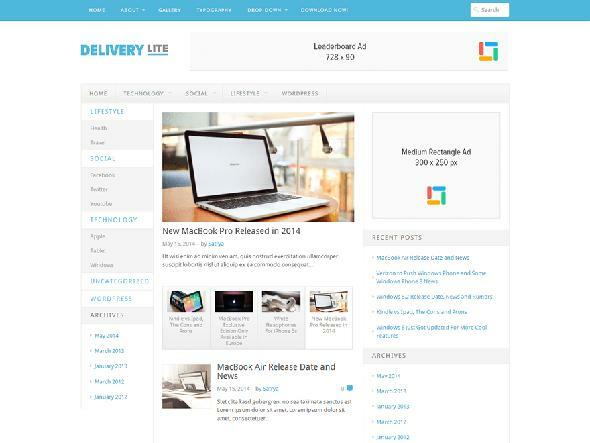 Delivery Lite is the one of the simplest WordPress themes. It comes with mobile-friendly interface, clean design and beautiful look. It is magazine and highly easy-to-use theme which contains minimum options. Just install and enjoy! Delivery Lite is suited both for personal blogs, online magazines as well as news websites. It has a favicon uploader via customizer and easy-to-use logo. The main features include 4 widget areas and 2 menus, built-in breadcrumbs, featured posts slider and built-in pagination. Phat is a great theme for people with an outstanding worldview who dare to challenge convention. It was created to assure that your site will stay off the beaten track, and your readers will return again and again. Smart and venturesome, Phat is ideal for storytelling, movie reviews, customer reviews, business news, public appearances, community events, product reviews, service centers, entertainment, news & celebrity sites, stock information, business magazines, and many more!